Strawberries are great plants to have in the garden. 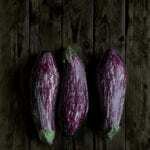 They take up little space, they’re prolific, and they’re delicious. They’re also reasonably hardy. They are not, however, quite as hardy as you might think. 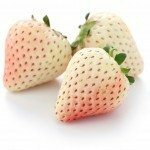 While it’s true that strawberries are grown extensively across Canada and the northern U.S., they can actually suffer serious cold damage if they’re not protected adequately. Keep reading to learn more about protecting strawberry plants in winter. 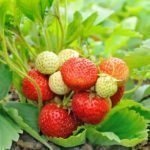 How Can I Overwinter Strawberry Plants? So how do you protect strawberry plants in winter? One important step to winterizing strawberry plants is thinning them out. Strawberries spread fast, so you don’t need to worry about knocking them back too far – think of it as pruning. Thin until you have about five plants per square foot. Make sure to remove any plants that look diseased. Another important thing to consider when winterizing strawberries is water. Strawberry plants need plenty of water in the fall to ensure their health over the winter and into the spring. If your plants are getting less than 1 to 2 inches of rain per week in the fall, supplement with water. Maybe the best known, and most important, means of protecting strawberry plants in winter is mulching. 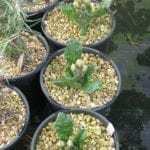 Wait until the plants have gone dormant, or you risk smothering them. A good indicator that the plants have gone dormant is that they sort of flatten out against the ground. This should happen when the daytime temperatures are in the 40s (C.) and nighttime temperatures are in the 20s (C.). At this time, bury your plants in 3 to 6 inches of loose straw, pine needles, or wood chips. Stay away from hay, as this is usually full of seed that will sprout and clog your plants in the spring. Make sure to remove the mulch in the spring to keep your plants from smothering.